You do NOT have to use a form provided by the School District nor provide any information beyond what is required by law (cited above). 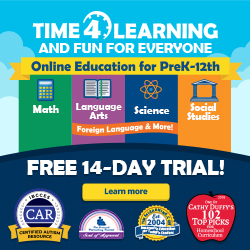 You may be surprised and/or pleased to realize that this means that information about grade level, curricula or materials to be used, teaching methods, race or ethnicity, number of days or hours of instruction, social security number is NOT required. How old does my child have to be before I am required to file? You must file a notice for each child you will be homeschooling who will be six years old or older on February 1 of the school year you are filing for. For instance, a child who is 5 on September 1 but won’t turn 6 until sometime in March does not require a notice of intent to be filed. However, the state has said that children who are 5 by September 1 of the current year may begin school early. Any child who will reach age 5 by September 1 may start school the preceding August. In fact, this is so commonplace that most people mistakenly believe that children have to start school the year in which they will be 5 by September 1. They don’t. The “6 by February 1” standard is the law. Keep in mind that kindergarten is mandatory in Florida, so if you are planning to enroll your child in public school for first grade, you will need to provide proof of satsifactory completion of a kindergarten program. In this case, you should file a Notice of Intent even though you are not required to do so by law. If you don’t, when you show up at the public school with your first-grader, the school will take the position that your child is to be enrolled in kindergarten. In all cases, you will need to file a notice of intent at the beginning of the school year during which your child will turn 6 by February 1. You may include more than one child on the notice. A Notice of Intent is filed just once (when you start your program), not annually. The only exception is if you terminate your program and then resume. The statute says that you must file within 30 days of starting your home education program. 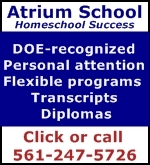 However, due to other laws concerning truancy and unexcused school absences, it is recommended that parents file this notice immediately upon withdrawing their child from school or implementing their home education program. This will avoid any possible conflict between the home education statutes and the truancy statutes. Send your Notice of Intent to the Superintendent of your school district. Here is a list of Florida School districts and contact information. Tip: Either hand deliver your Notice of Intent or send it certified, return receipt. This will provide you with proof of your timely filing should your notice be lost.